ALICE W. CALLISON is a Shareholder in the Tucson office. 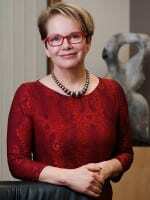 Her practice emphasizes employment and education law. A substantial amount of Ms. Callison’s practice is devoted to the day-to-day representation of school districts and community colleges, and the complex legal issues that impact employees and student relationships. Ms. Callison encourages her clients to be pro-active in approaching these issues and provides compliance audits of educational policies and practices affecting employees and students. She also has provided training to administrators on legal issues impacting their roles as supervisors. She consults regularly with human resource managers on employment matters, and with administrative officials and student affairs personnel on student discipline, discrimination and Title VII issues. She also provides guidance to campus police departments on security matters, including search and seizure issues and alcohol laws. Ms. Callison has extensive trial experience having tried numerous jury trials as a Deputy Pima County Attorney. She graduated from the University of Arizona with a B.A. in Political Science, with high distinction, in 1977. She received her J.D. in 1980 from the University of Arizona College of Law. While in law school, Ms. Callison served on the Arizona Law Review editorial board and was a member of the 1979 National Moot Court Team. Ms. Callison is a member of the National School Boards Association Council of School Attorneys, the Pima County Bar Association and the State Bar of Arizona.